On Capitol Hill you can have a pediatric, healthcare provider come to you. Get the same kind, professional every time. Heidi is a Pediatric Nurse Practitioner (CPNP) with over 20+ years of experience treating children in the primary care setting on the Hill. Your children between birth and college can have Heidi visit, diagnose and if needed provide a prescription—then and there—saving you time and money. She can even do some testing for common ailments. Really. Right there and then! 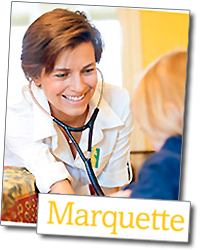 Heidi is featured in Marquette Magazine, Spring 2011. To download a PDF of the article select this link. To read the entire article select this link. 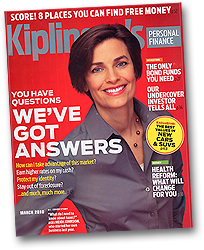 Heidi Johnson is the cover story of Kiplinger’s Personal Finance, March 2010. To download a PDF of the article select this link. To read the entire Kiplingers.com article select this link. Text for faster reply. Press phone number to call. * ALL PATIENT INFORMATION AND TREATMENT IS KEPT STRICTLY CONFIDENTIAL. I DO NOT COLLECT SOCIAL SECURITY NUMBERS OR HOLD CREDIT CARD INFORMATION. I SHRED PAPER RECORDS AFTER I SCAN THEM AND I STORE THEM ELECTRONICALLY. IF YOU ANY QUESTIONS OR CONCERNS REGARDING CONFIDENTIALITY, PLEASE DON’T HESITATE TO ASK.